When it comes to creating natural esthetics, crowns must not only have the characteristic appearance of a tooth but more importantly recreate the physical properties of tooth. That includes the materials used to build a restoration. Materials must have similar characteristics as a natural tooth such as: translucency, light reflectance, wear resistance and strength. 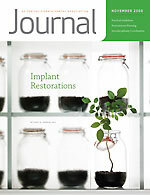 In the past, we were limited to basic metal crowns with porcelain as the strongest material available. However as technology improved, we are now able to predictably deliver amazing metal-free restorations and provide our patients with crowns that are far superior in esthetics and strength! Zirconia is now becoming the most popular alternative to metal. 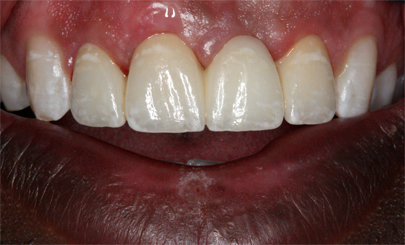 In this case, the patient had a temporary bridge for several years which was discolored and had a life-less appearance. 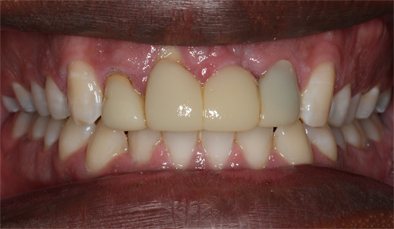 In addition, there was severe gum recession on the patients right upper central. Underneath, the prepared teeth had varying shades. 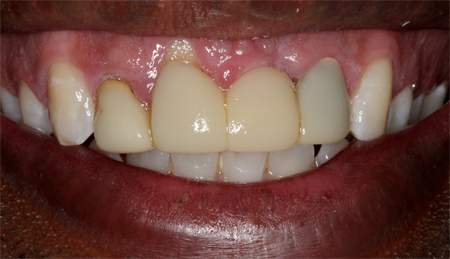 After the initial preparation, a gingival graft was placed by the periodontist and allowed to heal for 6 months. 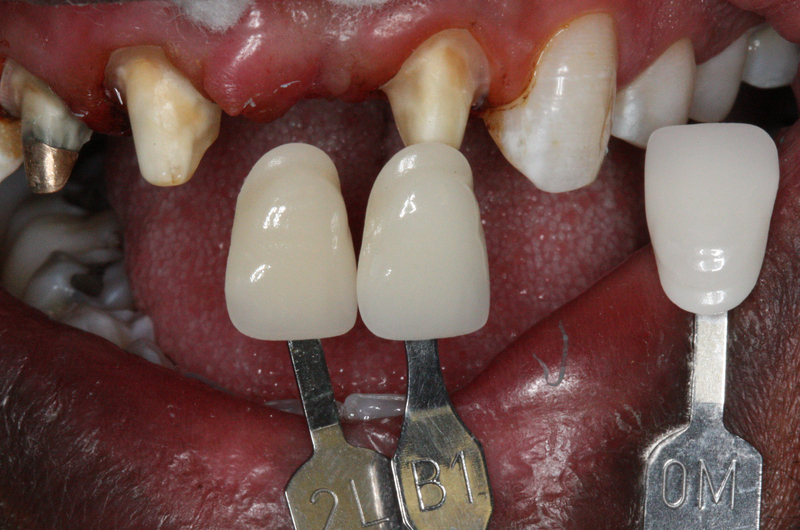 A zirconia core framework was selected with the proper amount of opaqueness to mask any discoloration without creating a “graying appearance” often seen with metal crowns. 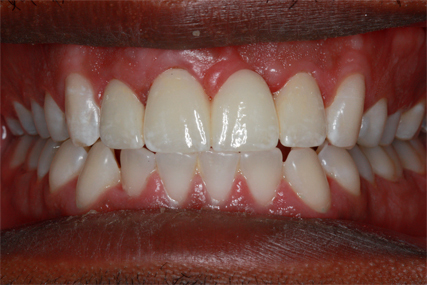 Porcelain was then built up to allow proper light translucency and shade match of the adjacent teeth. Characteristic stains were finally added to give the tooth a more life-like appearance. The final result is a naturally looking restoration that blends in perfectly.